1st Queen's Dragoons Desk / Table Flag with plastic stand and base. 40 Commando Royal Marines Desk / Table Flag with plastic stand and base. 45 Commando Royal Marines Desk / Table Flag with plastic stand and base. Army Air Corps Desk / Table Flag with plastic stand and base. Blue Ensign Desk / Table Flag with plastic stand and base. British Army Desk / Table Flag with plastic stand and base. Commando Training Centre Royal Marines Desk / Table Flag with plastic stand and base. 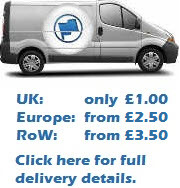 Fleet Protection Desk / Table Flag with plastic stand and base. Household Division Desk / Table Flag with plastic stand and base. Infantry Corps Desk / Table Flag with plastic stand and base. Intelligence Corps Desk / Table Flag with plastic stand and base. Logistic Regiment Desk / Table Flag with plastic stand and base. Mercian Regiment Desk / Table Flag with plastic stand and base. Parachute Regiment Desk / Table Flag with plastic stand and base. RAF Ensign Desk / Table Flag with plastic stand and base. Red Ensign Desk / Table Flag with plastic stand and base. Royal Armoured Corps Desk / Table Flag with plastic stand and base. Royal Artillery Regiment Desk / Table Flag with plastic stand and base. 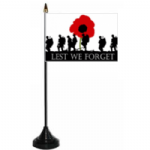 Royal Electrical and Mechanical Engineers Desk / Table Flag with plastic stand and base. 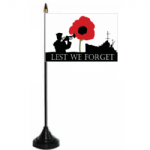 Royal Engineers Corps Desk / Table Flag with plastic stand and base. 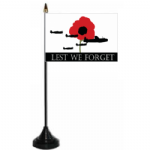 Royal Gurkhas Desk / Table Flag with plastic stand and base. Royal Irish Regiment Desk / Table Flag with plastic stand and base. Royal Logistic Corps Desk / Table Flag with plastic stand and base. Royal Marines Desk / Table Flag with plastic stand and base. Royal Scots Dragoons Guards Desk / Table Flag with plastic stand and base. Royal Signals Corps Desk / Table Flag with plastic stand and base. Royal Welsh Fusiliers Desk / Table Flag with plastic stand and base. Special Air Service Desk / Table Flag with plastic stand and base. The Rifles Desk / Table Flag with plastic stand and base. U.S. Airforce Desk / Table Flag with plastic stand and base. U.S. Army Desk / Table Flag with plastic stand and base. U.S. Navy Desk / Table Flag with plastic stand and base. White Ensign Desk / Table Flag with plastic stand and base.